Ordering food online? – Will I even get my food? Bharose wala meal with RailYatri! 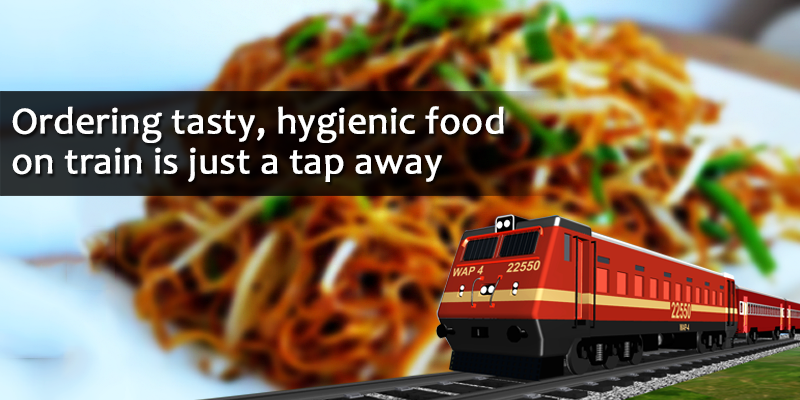 RailYatri has come to your rescue which prevents you from compromising with your food onboard. With its focus on ‘Quality food, Hygienic packaging, Curated menu, Seamless payments, Assured delivery and Simplified ordering experience, it promises you to give the best meal experience ever. The distance between you and your meal is just a few taps away, way too simplified and fun-filled. • Click on the menu that is tucked on the right side corner of the home page. Amongst all options, click on ‘Booking’. Now select ‘Book A Meal’ from the sub-category options. • Enter your PNR number and click on ‘Book Online’. It will show you the restaurants that are ready to serve you. • Select your meal from Veg and Non- Veg category and add it to your cart. • Go to your cart (on the top left side) and click on ‘Continue’. • Enter your details (Name, Contact, e-mail and Coach/seat no) and ‘Confirm’ your order. What if I don’t have a PNR number ? Under Book, a Meal option on the right side of the homepage, just enter your Train number along with your date of travel. All other steps to order are same. Want to know about your restaurant? When you are planning your meal, there is a – About – section. This section has a detailed brief about your restaurant, which adds to your levels of assurance and reliability about the food you are ordering from a restaurant. 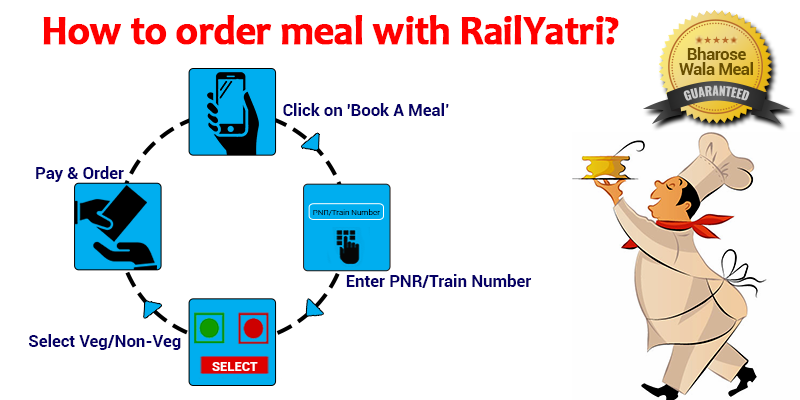 This is how we at RailYatri are offering an ease of ordering your choicest meals to you. With hand-picked of around 120 restaurants at about 300 stations in the country, we are determined to provide you the best of food experience you’ve ever had. ALSO READ – Why Compromise on Food while Travelling? how the hell these restaurants and hotels charge so much they forget majority of travellers are common people they cant afford so high rates. We are a premium food service provider whose focus is on delivering the best quality food while maintaining the hygiene and delivery services for the train travellers. There are different logistics involved while serving the food and the prices of the meals also vary at various restaurants and stations throughout the country. Kindly, try using our food services while travelling next time. Hope the quality and the services will make you feel the difference in the experience which we try to offer. Thanks a lot, Pallavi. Keep reading and stay updated with us. Would love to hear back from you again.